Steel arm frames without the need for washers or nuts. Simple push fit onto rollers. 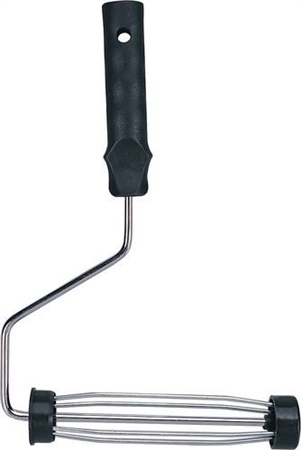 Incorporates a screw thread inner handle for greater security of fit to our telescopic extension handle. Heavy-duty frames have 8mm steel for less bend or flex. Roller and Roller arm sold separately.